The playlist project is scheduled to debut this Saturday. 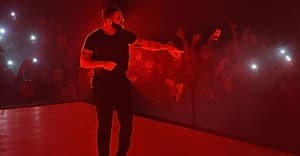 According to a report from Pitchfork, Drake's playlist project More Life, which is scheduled for a release this Saturday, seems like it will be simultaneously released on all streaming platforms after its premiere on Apple's Beats 1 Radio. This would be a departure from Drake's last two projects, What A Time To Be Alive and Views, which both had periods of exclusivity on Apple's platform. Sources close to Amazon told The FADER, "If there is a Drake album, we will have it the day it’s released." A rep from Amazon Music also told Pitchfork that the release would be up on their service as soon as it hits Apple Music. Apple issued a statement to The FADER: "Tune into Apple Music's Beats 1 this weekend for an epic and legendary next episode of Drake's OVOSOUND radio." A representative for Spotify said, "We currently have no information to share." Reps for TIDAL, and Drake did not immediately respond to a request for comment from The FADER. Here's everything we know about More Life so far. This post was update at 7:00 p.m. on March 16 to include more original reporting.